Hands up all the Yola junkies !! - You know what HTML stands for. - ‘Widget’ has become a part of your every-day vocabulary. - You can name more than three reps on Get Satisfaction. - You use post-it's to line up your two column widgets down the page. - You check the source code of websites you like. - You test your site in IE, FF, Safari, Opera and Google Chrome. - Your favorite colours are #CCCCCC, #CF0000, #1F3BC7 instead of Yellow, Orange and Red. - You spend more time reading/replying on Get Satisfaction than actually designing websites. - You ever been truly mad at a family member for not upgrading to Firefox. - You’ve cried after not using a test page to test that dubious code first. - You have ever actually had a dream involving a BMP, JPG, GIF or PNG. - You did not realise that all the signs noted above are applied by you. You know I made a social site to cover this and sent you an invite awhile back. I was living in denial back then John. LOL don't we all live there at times and I am not talking about a river in Egypt....I did really make a social site and sent invites to you and Peter but I think they may have shown as junk or spam. Didn't get the invite sorry John. Did Peter RSVP ? Good that river joke! Very quick! I did miss it. Apologies. Send again if you will. I'll be more diligent. Boomer that is awesome, I love it! You're a stone's throw from that river in Egypt, littlus. P.S. Hope John doesn't have copyright on that river one !! LOL. Boomer Yola in Australia means Cocaine, Junkie is someone that takes needles. I don't think i am one. I think we are better to call ourselves Yolaians. Hey you missed out testing it in flock. Maybe I'm not hooked after all. Maybe I'm just ill . I know what it is......I think I've picked up the "eYola" virus! No vaccinations for that as yet either. Boomer, you made my day. Again! We need a badge for Yola Comedian. I would definitely give it to you, funny man. i'm wasting my time here, i need another hit. 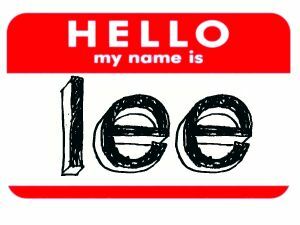 Hey "Lee", Where you created this picture ? i took the image from google then in Picnik added my name. - You're good at nesting Two Column widgets in different patterns to get just the right arrangement on the page. - You automatically make a row of links in a Text widget as a sub-navigation at the top of every page. 1. We admitted we were powerless over HTML - that our lives had become in part dead links. 2. Came to believe that a Power greater than ourselves (YOLA) could restore our deleted websites to us. 3. Made a decision to turn the blank stares at our first white page and our completed websites over to the care of YOLA as we understood it. 4. Made a searching and at times lengthy inventory of our extensive file managers. 5. Admitted to YOLA, to ourselves and to another fellow site builder the exact nature of our clueless first few weeks of site building. 6. We're entirely ready to have YOLA remove all the errors from our frozen and locked out web pages. 7. Humbly asked them to remove our bad codes. 8. Made a list of all websites we had used to make our very own to give thanks to them all for their help. 9. Made direct links to such websites wherever possible, except when to do so would cause our own websites harm. 10. Continued to build more websites and when we don’t know how to do something promptly admit it and ask for help in the forums. 11. Sought through countless sleepless nights and gallons of bad coffee to improve our websites with YOLA as we understood it, praying for knowledge of all HTML, will for us and the ability to carry out good coding. 12. Having had a virtual awakening as the result of these steps, we tried to carry this message to yet unknown website builders and to practice these principles in all our affairs. Ha Ha, forgot the analytics point. Ok... I'm starting to laugh at my own jokes now!! im a Yola junkie for sure! You are so right Boomer!! Unlike my other addictions, this one is free! I've always said, "It isn't a problem unless you can't afford it." And free is definitely within my budget. Thanks YOLA! I'm working on two PC's, on two sites, at the same time !! That would be yolabidextrous I think...I have to say though I use a dual monitor setup and it really makes all I do on the web easier. Just looked up "yolabidextrous" on Wikipedia! It's a small town on the banks of that river in Egypt. Ed you will love dual monitors.Not just for site building they come in handy for many things related to business. can't wait to see how it works out for you Ed! i dont get how dual monitors work! First off you need to have a video card that supports dual monitors....They are pretty common these days on many new computers.It is a very easy set up also....What it does is it allows you to extend your desktop to a second monitor.You can decide which icons and such to put on either monitor.Once you are set up you will be able to use your mouse to go right on off your screen and on to the other monitor (you can set it to go left or right)...This is so much easier on your eyes and many times you may want to compare things side by side....Tabs are great but there are limits....I use it a lot when I site build...build on Firefox on the right...To the left I sit on IE and hit F5 after updating my site to make sure all looks well in IE also...This allows me to stay in site builder and compare my site sided by side....If you decide to try it I will help you set up if you need but it is really easy....Just see what you have for a video card first to determine if you can do this....You may have this but most times one output will be for analog and one for DVI .